So this happened right before Xmas. Gift sent for the little one from a family member. One side of box ripped off. Contents missing. 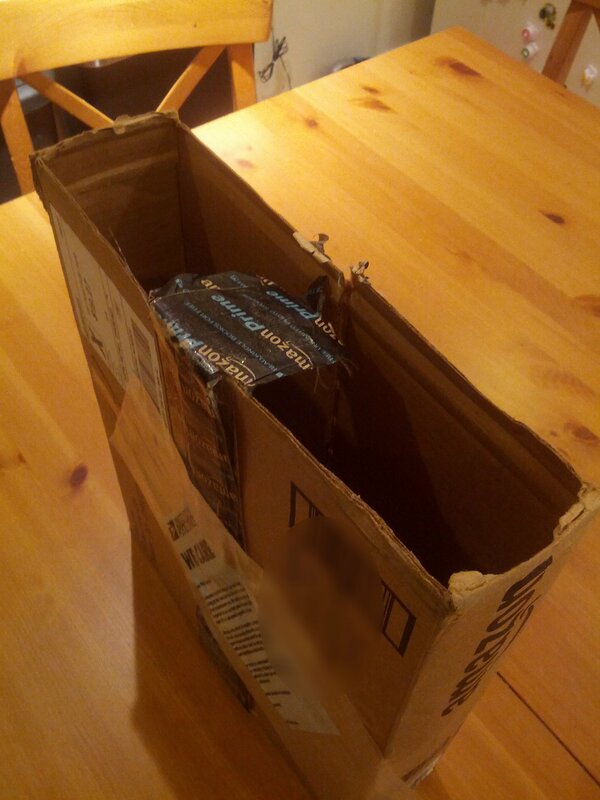 Hmm, was this done by a stranger after delivery? Apparently not because there’s a note attached to the box apologizing for the damage. Why even go through the trouble of delivering an empty box? 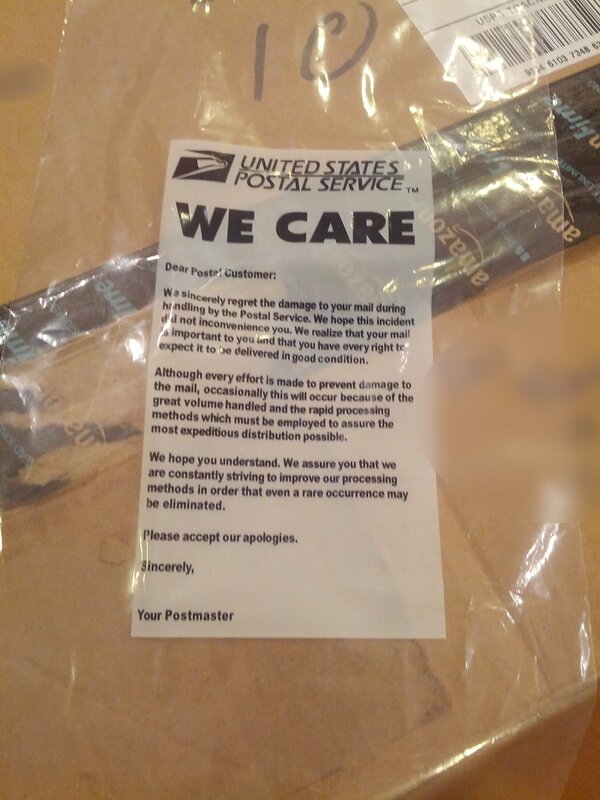 Return to sender with a huge apology! I tried calling the local delivery supervisor. Was put on hold, no one ever picked up. I tried filing a complaint through USPS’s website. No response. Maybe I’ll try the postal inspectors. This is mail theft, correct? This entry was posted on Friday, December 30th, 2016 at 4:53 am	and is filed under Uncategorized. You can follow any responses to this entry through the RSS 2.0 feed. You can leave a response, or trackback from your own site.